The kimono is affecting the Western fashion, transforming women in seductive geisha in a perfect mix glamor and sophisticated. Hands up who has never dreamed of becoming a sensual geisha with a light weight kimono precious him. The secret to wear and not look out of place, is in perfectly mix the right amount of ingredients Eastern and Western, for a surprising result. The kimono gives the woman who wears a seductive and feminine allure already traditionally, but now we find in modern geishas symbol worn with leaders of the Western world. Of rich fabrics and elegant embroideries that cling along the silk, these are the most obvious characteristics of the kimono. In street style fashion is combined with pants or jeans sneakers more high-heeled sandals: in both cases the model is that of a classic kimono long satin silk and brought the open instead of the masculine blazer. There are also the mini variants to replace male blouses or blouses: in this case is crossed, wrung out in life with ties or belts. Among the proposed models will range from woven plain or decorated just below the waist, in the tradition is called Irotomesode, the classic “dress card”, Hōmongi, formal and rich embroidery, perfect for special occasions as dictated by culture. There are also models cut male or jacket panarea. Also, it is a perfect head from the sea to the city, with thousands of possible combinations: top, converse and costumes. 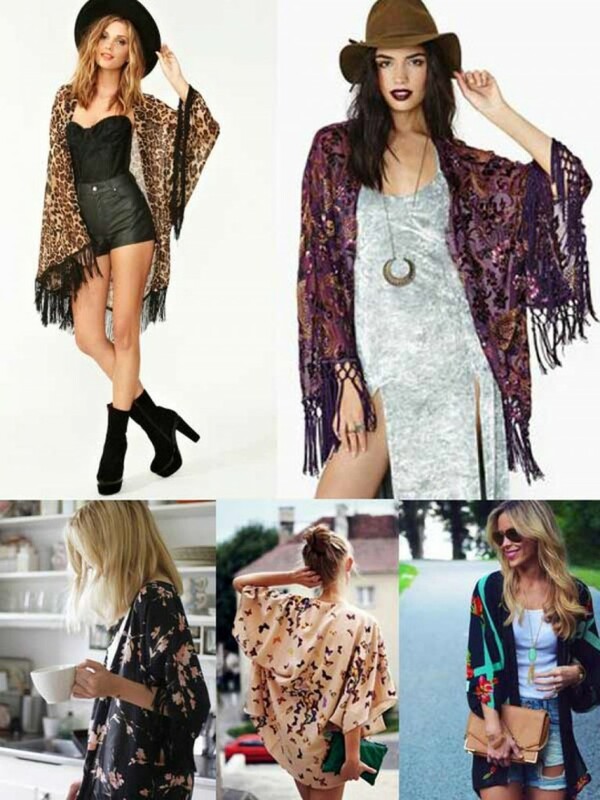 Flowered kimono to the basic, kimono with fringe to extra large model, through adorable mini-kimono necklines and mind-boggling.